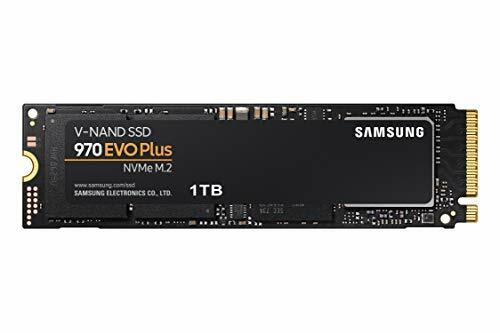 Super noob with not a clue as to what he’s doing with this here first build. Craigslist - and I'm still flabbergasted myself. The good news is that it won't be a mystery as to why the police show up at my house in the coming weeks - just looking for the stolen video card. 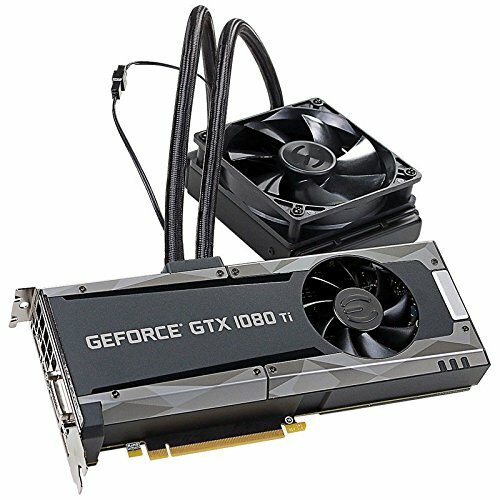 Funny story, never intended to get this card but the guy who I was originally going to buy a 1070 ti from apparently works graveyard and so I waited around all day thinking he bailed on me and since I was so desperate to get started on this build and because the guy who had this 1080 ti lived within 2 miles of me I said F it let's just do this quick before I hurt myself for being so stupid. Guess who hit me up as I'm literally getting into my car after meeting 1080 ti guy? Yes, 1070 ti guy. (It was even more so of a steal - $250 for basically NIB EVGA card). BUT my benchmarks and I pity the 1070 ti and we pray that his suffering is short but actually we don't care because he is weak and my benchmarks and I actually get really embarrassed when 1070 ti and RX580 try talking to us in public. Nice job and congrats on the userbenchmark score. Great build. 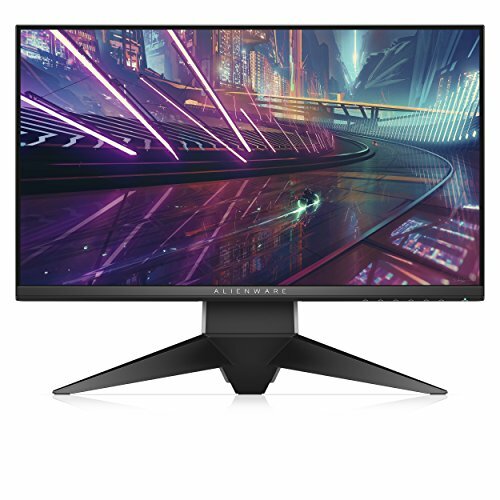 I am going to be building my first PC later on this year with hopefully the Meshify, the trident z RGB ram, and also the i7. Basically, your build is almost mine. What do you think of the parts above? Well since this is my first build the best I can do is offer a rather blanket opinion on how things have gone thus far. All in all for being a complete and utter noob walking into this project with not a clue as to how to do anything I can assure any prospective newbies that building a pc such as this is no where near as daunting as some people might expect it to be. Gigabyte z370: I spent a good 80% of the entire building phase glued to the motherboard's user guide. The Gigabyte instructions were in hindsight very well put together and detailed, but since it was all entirely new to me I struggled the most with the most mundane of things such as worrying far too much about how hard I inserted/removed all the different wires and/or simply finding the correct spots to place them. Since Gigabyte has no clue as what other parts the user is using they have to cover all contingencies and variations of components which is what they have to do. The biggest issue this abundance of instructions caused for me was that they would call for example let's say 4 certain wires to go in this one particular area but when I looked at what I had in front of me I only had 2/4 of these wires and it never really occurred to me that this was okay and that maybe my particular build only used 2/4. Can you imagine the grief caused by scouring my parts for these 2 phantom wires?! Eventually I just assembled everything that I could and hoped for the best. It all worked out. 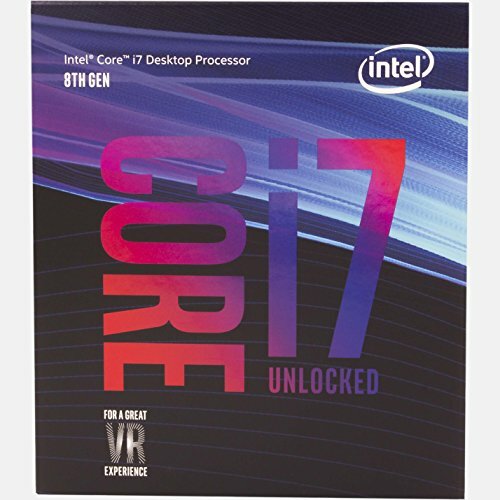 i7-8700k: Assembly was a piece of cake and once you place it on your motherboard you never really think about it again until the pc is running. I knew going into this that I was going to be all about the overclocking of anything and everything that I could get my hands on so getting the K version was a must. I can easily admit that as of right now out of all my parts I am most satisfied with this one - or maybe relieved would be the right word. We all know about the silicon lottery and I never in a million years expected to get such a stud of a chip. All I really wanted was a decent OC and that was it. After some elementary tweaks and after no time at all this thing was mobbin. Peep that second bench I added at the top of my build description. Temps sit @ 60 under HEAVY load and at idle a chilly 30, all the while runnin and gunnin @ 5GHz. I'll take it. Kraken x62: Obviously most the credit of those temps mentioned above go to this. Before the build I easily spent the most of my time researching parts focused on the CPU cooler and GPU. What's kind of ironic is that after spending so much time looking into this after I placed it in my case I've never really even thought about or touched it. It's obviously doing its job, I'm happy. 970 evo: Went back and forth a lot with this one. I knew that a HDD was out of the question and that I was going to start with at least a 1TB SSD. 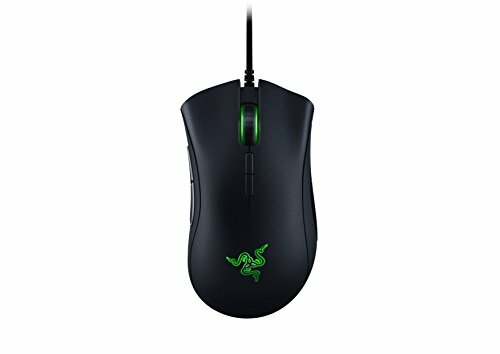 I originally had actually purchased the 860 evo but afterwards I spent some time running through a gamut of benches using different combinations of components and it quickly dawned on me that if I truly wanted to be a boss player it was imperative that I disposed of this 860 trash and grab the 970 instead. Now would the 860 have produced just as fast boot times and all that? I'm not sure but the consensus is yes. Unfortunately my future benchmarks would be none too happy accepting the 860 into the family so my hands were tied. As for how I feel about the 970's performance I'll simply state that just thinking about HDD's make me sick now. SSD for life. EVGA 1080 ti SC2: While it for sure didn't feel like a steal as I was handing this gentleman $580 for this used GPU that for all I knew was either broken or was soon to be broken after I destroyed it some how this thing is a boss and I can now confidently say it was indeed a steal. To date I've only spent like 20 min trying my hand at tweaking this card but so far I can report that while testing a clock of 2075 with memory @ I believe a shy under 6000 this thing just laughed at me - oh and while it was laughing at me it was simultaneously handing out ice cream @ 40C. Hybrid ain't playin games here folks. 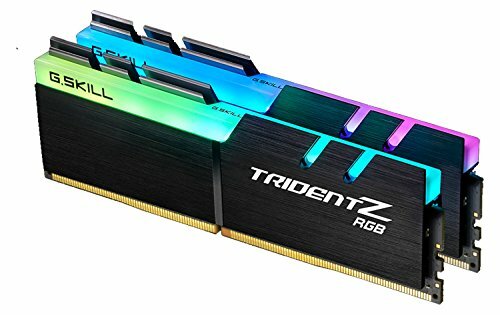 G.Skill Trident Z RGB: Currently I'm not speaking to my RAM, but we will get to that in a second. Inserting these sticks into the motherboard was the closest I think I came to having a heart attack. If you've never changed out your RAM before, what is basically asked of you is to line up your stick with its prospective channel and while reciting the Hail Mary you are to press down WITH CONSIDERABLE FORCE until the side pins automatically lock into place. I was convinced that I was doing it wrong FOREVER because in my mind there was no reason as to why they weren't locking into place. It got to a point where I just accepted the fact that I was about to break my RAM and I just shoved one down and voila - locking pins snapped into place. Absolutely petrifying experience. After that though all was well that is until I found myself in my current predicament which is that these sticks are killing my bench!!!! Lol in actuality they're doing their job just fine and I'd recommend them to anyone in a heartbeat, and I'm confident after some more time looking into timing tweaks and such I'll have them contributing much more to our little operation than they've been. I don't really care about the RGB aspect as much but yes they are super cool to look at when I'm waiting for different benches and tests to wrap up. EVGA G3 750: More than enough to support what I got going on. Working with this guy has been real refreshing coming from my previous "gaming" desktop's PSU (the closest thing I can compare that previous PSU's power management to is one MAYBE two decaying triple A batteries). One thing to note is that this thing came with every cable imaginable and then some. Ran into issues similar to the ones I encountered with the motherboard where I had to figure out a way to navigate through an obscene amount of instructions, most of which covered things that didn't concern my particular build, but I didn't know that at the time! Also, good luck gathering up enough balls to remove any brand new power cables you've inserted into any new board - from what I can gather once in they REALLY don't want to move. Fractal Design Meshify: I don't have anything to compare this to but with that said I have zero complaints. Super easy to get into for when something internal is begging for my attention. For under $100 I think it would be safe to assume you'd be hard pressed to find a better case. Current issues/concerns: In general I not only couldn't have expected anything more out of this setup but I'm also cognizant of the fact that I lucked out big time. Right now I have two super minor things I'm trying to work out. One would be the radiator hoses I complained about in the build description - figuring out a way to have them sit more out of the way. The other thing being that of my current little squabble with the RAM - we just need to sit down and hash out our differences. I can relate to the RAM bit, i thought I was going to snap them!